The bridge carrying Smokestown Road (State Route 1034) over Swamp Creek in East Cocalico Township, Lancaster County, reopened to traffic at around 3:30 PM on Saturday, December 23. This bridge was replaced as part of the Pennsylvania Department of Transportation's (PennDOT) Rapid Bridge Replacement Project and allows PennDOT to remove it from the state's structurally deficient bridge list. The bridge was closed on October 30 for the replacement project. The original closure was scheduled for 75 days, but the project team was able to expedite construction and complete the project 14 days ahead of schedule. 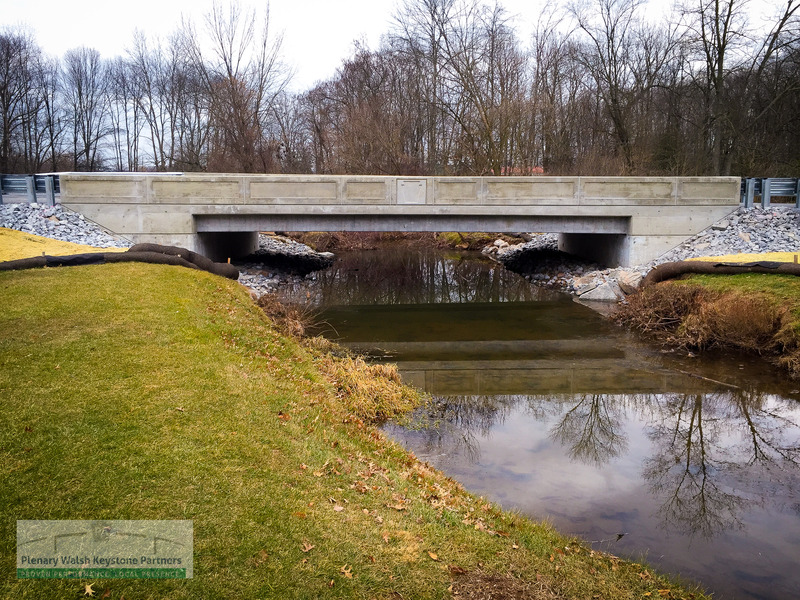 Replacement work for this bridge was performed by Clearwater Construction of Mercer, PA. This bridge is referred to as JV-266 and is one out of the 558 bridges being replaced under the Rapid Bridge Replacement Project. JV references the joint-venture partnership between Walsh/Granite, which is leading construction for the entire project.